An comprehensive SEO audit is one of the first places we start; think of it as health check-up for your website. At Internet Marketing Experts Adelaide we then identify what the issues that need to be attended to asap, but more importantly, we explore the opportunities for your website. In order to get to your website ranked number 1 in Google and start driving traffic to your site, you need to first know where you are right now; the audit helps us understand what strategy we need to use to get you started. At Internet Marketing Experts Adelaide our team of experienced developers, immediately tackle the many onsite and offsite issues that could be holding your site back from ranking well. Feel free to click on the red button at the bottom of this page called ‘Free SEO Report’ to get a glimpse of the condition of your website right now. Feel free to contact us here at Internet Marketing Experts Adelaide for more information on what we can do to help you understand the results of the free report As an SEO company Adelaide, our expert team can point you in the right direction and or help you fix the problems or even let you try and solve them yourself. At Internet Marketing Experts Adelaide we carry out 3 different audits for every new client. 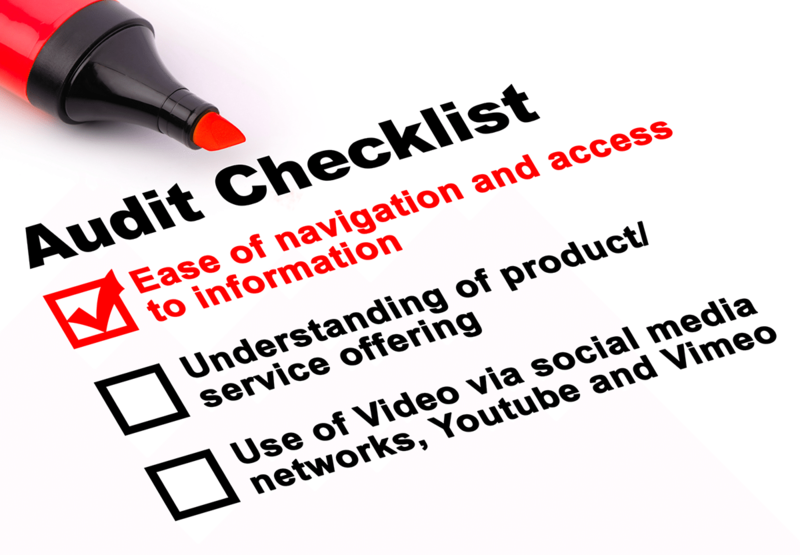 Comprehensive Audit – This is the basic check to see how everything is running on your website. It is a comprehensive check-up of over 50 critical items. This audit tells us where the main competition is, and what your current search engine rankings are. Full Tactical Audit –This is inclusive of the comprehensive audit, however we dive deeper and step you through a more detail-oriented review of your website. We also provide recommendations to implement in order to maximise your visibility and solve any smaller issues. It’s tactical because we assess things like how your keywords are working on your website, and how we can improve your websites rankings. Emergency Audit – This is our most utilised audit that is normally used when there has been a major change or issue with your site and your traffic has deteriorated. We will quickly discover the issue/s with recommendations to fix the problems that caused the emergency. This audit is often considered when dealing with a decline in traffic and therefore a decline in traffic to your website. If your site is sliding down the rankings in Google then give Internet Marketing Experts Adelaide a call for a free Emergency Audit on 1300 595 013. Please note that none of these audits are a generic or an off-the-shelf service, each is completed with care and precision by our experienced team. As with our packages and plans, there is no on-size-fits-all solution when it comes to SEO. The more comprehensive the audit, the more it will be tailored to your specific needs while keeping you informed of how your website is functioning. This step is usually the first step to any SEO program or package we offer. It is specifically tailored to suit many complex or ecommerce sites. Our Comprehensive Audit may be our first step, but it helps to diagnose exactly where some of the issues may be by using one of the most inclusive SEO checklists. Your personal SEO analyst will step you through the completed detailed report via conference call to ensure that you are fully aware of all of the information that the audit unearthed and can make the best decisions for your website’s SEO. The Tactical Audit allows for a greater allotment of time for your personal SEO Analyst to not only delve deeper into any possible issues, but also provide you with a more tailored analysis so that your specific needs can be investigated. While the Simple Audit may raise issues and opportunities, the Tactical Audit provides you with a platform to expand on this and work towards achieving the best outcome. This is our response to urgent and serious problems. We can get you back on your feet sooner, and your website’s SEO polished up and ready to go. This is best used when there has been a serious and significant drop in your site’s traffic and rankings over a short period of time, or seemingly instantaneously. This is often a rare case where the SEO you have engaged is used a manner not intended, or sometimes it can be from human concerns varying from simple coding errors to a more malicious issue such as denial of service attacks or hacking. Our response to this scenario is an immediate review of on-site, off-site and third party concerns. Time is a priority in this case because it is often involves scenarios where essential functions are being affected by the lack of traffic, and your earning potential evaporates. Our Adelaide Emergency Audit team are experts in this quick thinking and strategic response so we can get your website back to its required visibility as soon as possible. Results: We aim to return you to the best possible position prior to the emergency situation in as little time as possible. Throughout the process you will be provided with Daily Progress Reports and your Adelaide SEO Analyst will be providing continuous briefings. No matter which audit option you feel is best suited to your needs, at the end of the process you will have a detailed map of where your SEO concerns are and how best to proceed. This gives you the opportunity to either take your plans back to your web developer, or continue with one of our other services to provide the optimal result from those who now have an intimate knowledge of your website. When engaging our SEO services, we always like to plan out our strategy. Starting off with an initial SEO Audit, the full range of potential is examined, inclusive of content, keywords, infrastructure and link profile. The end result of this is your personalised SEO Strategy Report. Your assigned SEO company Adelaide Analyst will step you through this process. Every case is different, and every strategy is unique to your specific situation. But the steps forward are up to you; whether you want to implement the ideas yourself, engage our services on an hour-by-hour basis, or dive into one of our more comprehensive specialised packages. Are you a new site? If you are a new website, especially ones with a large volume, such as a media site or if you utilise Ecommerce, then you want to make sure you are providing the best foundation for your success right from the outset. Approaching an SEO company at this early stage should take an even higher priority than choosing your web developers, but we provide that service too. See Website Design. And this SEO step should always come before deciding upon your Content Management Systems, (such as WordPress, Drupal, Joomla etc. ), and other add-ons such as your shopping cart software or catalogue management tools. The reason why you should approach us first is because our strategy will influence exactly what form of technical platform you decide to use. Often these elements speak volumes about your online success, and it’s always best to start from the best position; you don’t want to have to change platforms halfway through. Are you using a mature site? Often a site that has been around for a while and matured over the years will become stagnate, in terms of growth. Success is neither here nor there, but you think to yourself that surely there is greater potential here then why should you settle for mediocracy or second-best?. By engaging with SEO services you can help kick past this plateauing effect and keep growing in visibility with the changing times. After all, Search Engines constantly update their keyword clusters with 100’s of new criteria every year; you need to stay at the forefront of this change or you will be swept aside by your competition that isn’t afraid to adapt. 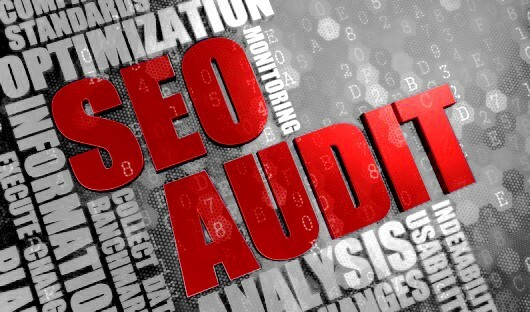 Our SEO audits will give you with the report you need to navigate the technical realm of the SEO world. We provide for you, and talk you through, the whole process from what you can do, and what we specialise in. But from the outset of the project, we provide you with a comprehensive hourly breakdown and estimation of the services that will guide our steps forward. The best part about it all is that the investment you commit to us is but a fraction of the revenues you stand to gain by promoting your site and giving it the visibility it deserves. Whether you want to rekindle an existing site into a vibrant flame, or start a new project with a bang, an SEO strategy with us is one of the most comprehensive and ideal ways to benefit you and your project.